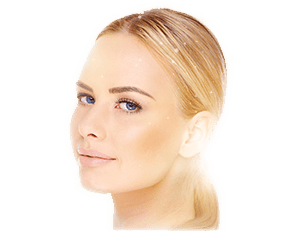 Over time, our skin begins to lose naturally occurring components such as collagen, elastin, and hyaluronic acid, which is what causes people to develop lines and wrinkles. Injectable fillers are injectable gel solutions that help reduce deeper lines or wrinkles and plump up uneven areas of your face. Unlike BOTOX®/Xeomin®, fillers work by restoring volume rather than relaxing into facial muscles. What Are the Benefits of Using Injectable Fillers ? Smooth deeper wrinkles and lines. Revolumize and soften deep creases. Fillers can be applied to any area of your face to reduce the telltale signs of aging or create the shape and volume your want. Are There Different Types of Injectable Fillers ? In the last few decades, several companies have refined the formulas for injectable fillers that address specific issues and areas of the face. Dr. Ayoub matches each Omaha patient to the filler or fillers that most effectively treat their concerns. While there are numerous companies that produce fillers, Dr. Ayoub has hand-selected the products he uses in his office based on their effectiveness and safety. Locate the areas to target during your treatment. Gradually inject the filler using a superfine needle. Observe results and communicate with you until your have the results that you want. The results of your treatment will be noticeable immediately. * Although you may have some swelling and minor discomfort, you can return to work the same or the next day. Dr. Ayoub recommends ice packs for the first 24 hours following injections to minimize these symptoms*. It is very rare for Omaha patients to experience any adverse effects from treatment, but you should call Dr. Ayoub immediately if you have swelling and pain that lasts for more than one day. To find out how you can get smooth, firm skin call our Omaha office at 402.829.6384 for a consultation about injectable fillers.